The entire story of Star Wars is actually being recounted to the keeper of the Journal of the Whills — remember that? 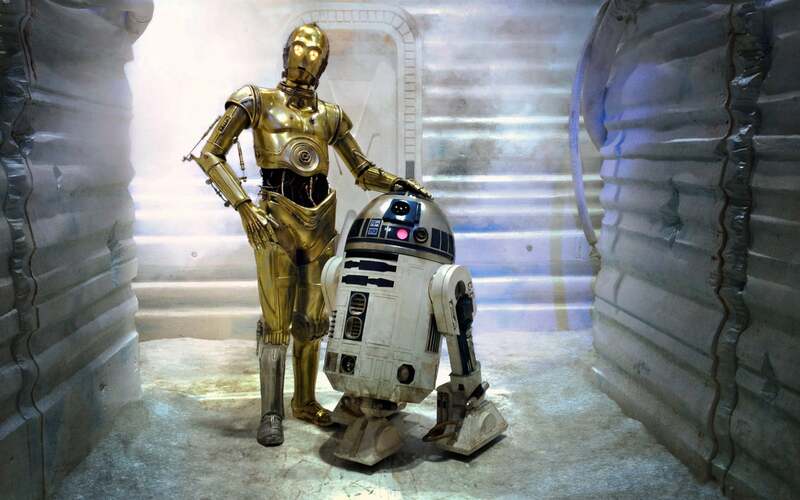 — a hundred years after the events of Return of the Jedi by none other than R2-D2. If the Original Trilogy and the prequels are a story being told by R2-D2, this explains a lot, as Taylor points out. RD-D2 "is prominent in every movie", and when Episode I begins he's already "fully formed", unlike C-3PO. He doesn't get his mind wiped at the end of Episode III, the way C-3PO does, so he remembers all the events of the prequels. And then in Episode IV, he's very determined to get to Obi-Wan Kenobi, over Threepio's protests — perhaps because he remembers Obi-Wan from before, and wants to ensure that "his former master's son rescues his former master's daughter".